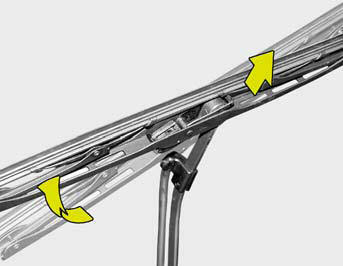 To replace the wiper blades, raise the wiper to the vertical. 1. 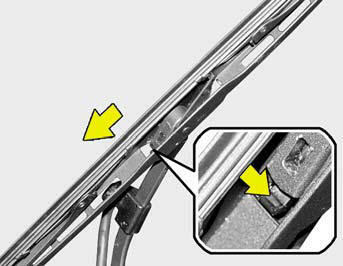 Push down the wiper blade with the locking clip (1) pressed to detach it from the wiper arm. 2. Raise the wiper blade lightly and pull up it.